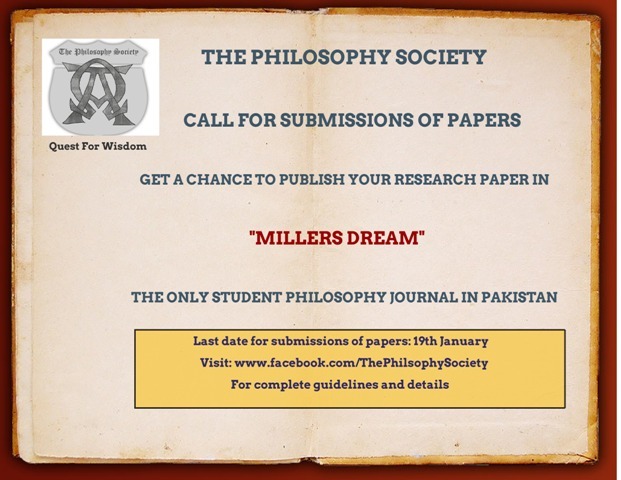 Miller’s Dream is a peer-reviewed philosophy journal published annually by The Philosophy Society of Forman Christian College. It was started in 2012 and is named after the founder of the Philosophy Department, Dr Myron M Miller. 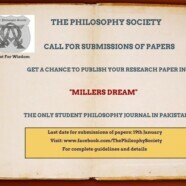 Miller’s Dream is now accepting submissions for the 2015 issue.